A brand spanking new 'Who Shot Ya?' right out of the package! 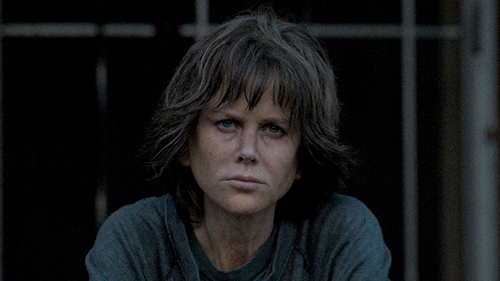 This week the crew is discussing the new Karyn Kusama/ Nicole Kidman joint, Destroyer. They're joined by fellow film nerd, comedian Graham Elwood of the 'Comedy Film Nerds' podcast. The gang questions Nicole Kidman's hair choices in the film and compares her character to other great LA gumshoes of the cinematic past. Plus they discuss the movies they have flip-flopped on since originally viewing, either for good or bad, in a segment they're calling Film Floppers. And as always, they've got those tasty staff picks. In news, Coming to America 2 is in the works, and Cardi B has some thoughts on Bird Box. With Graham Elwood, April Wolfe, Alonso Duralde, and Ricky Carmona. Guy Branum is back for our first episode of 2019! Sadly, Margaret couldn’t join us because #health and Wynter was busy being a jet setter. This week, the panelists share their pop culture resolutions for 2019, and own up to resolution fails from the past year. If you're curious about what Guy has been up to these past couple months, he catches us up. Spoiler alert (though not really): He consumed a lot of theater. In particular, he saw Matthew Lopez’s seven-hour, two-night play The Inheritance, and had LOTS of opinions about it. From “learn more commercial jingles” to “master a new recipe a month,” the panel reveals an ambitious list of resolutions they may or may not be able to stick with for an entire year. Karen is all about Bird Box the new Netflix thriller starring Sandra Bullocks. Tara is all about hating a bootleg recording of a recent standup set by disgraced comedian Louis C.K.. Guy is all about The Inheritance by Matthew Lopez, which is loosely based on Howard's End. Inspired by one panelist’s resolution to learn more commercial jingles, we are asking Rocketeers to call in and sing their favorite jingles on the Pop Rocket voicemail. We want to hear those jingles that will forever be lodged in your brain. With Guy Branum, Karen Tongson, and Tara Jepsen. We ALL somehow missed Bird Box, so we attempt to crack the movie based on the poster and marketing materials alone! Films discussed include The Birds, A Quiet Place, Annihilation, and two episodes from our show Dimension 404 - Cinethrax and Impulse!